As anyone who has dealt with damaged credit knows, a low score can lead to a long list of obstacles when making financial decisions. Finding cars for sale with a less than stellar credit score can be a difficult process, but it’s certainly not impossible. 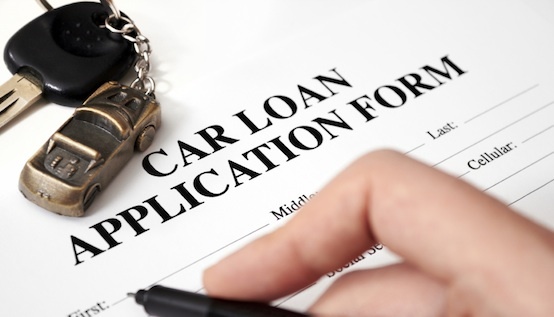 Follow a few of these tips to find and secure your auto loan. Before you begin your search for a loan, get the facts. Find out exactly what your credit score is and what that means for your potential to get a loan. There are several companies that will provide you with your credit score at no cost. Go into the process with realistic expectations to avoid being surprised or quickly let down if you’re met with obstacles. This will help you to go into the situation with confidence, showing lenders that you are well prepared. You may find that the first place you visit in hopes of finding a loan won’t work out. Don’t let this setback be the end of your search. There are many places to look for a loan and you may be surprised by how many options you’ll have to choose from. Keep in mind that some lenders will be more willing to work with you than others. It’s a matter of doing some research and taking the time to find the right lender for you and your situation. As you begin your search, start with the places that you know well. Go to the bank where you already have an account. Check with your credit union. For an example, when searching for cars for sale in Newcastle, look for the lenders in the area. These lenders may be more willing to work with you if they know you. Others may have a relationship with local car dealers and will know how to best make a loan work for you. When you go to a lender to talk about options and make plans, bring someone else along. When the process becomes frustrating, you may be tempted to take the first offer you’re given or agree to terms that aren’t in your best interest. An extra set of eyes and ears will help to avoid those situations and will give you someone to talk the details over with before making a decision. Some lenders will see those with lower credit scores as an opportunity to create less than desirable terms. When a loan comes with many contingencies and add-ons, be sure of what you’re getting yourself into before signing on the dotted line. This includes loans that promise a low monthly payment over an absurd amount of time and those that will increase payment significantly after the first few months. While the offer may seem attractive on the surface, you’ll be getting yourself into a situation that will not be in your best interest in the long term. If you’re feeling stuck with several options that aren’t exactly what you were hoping for, you may be stuck with a less than perfect plan. After getting your loan, be strict about paying on time. Take some time to clean up your credit score and get back on track with finances. After a year, look into refinancing. The process isn’t difficult and can save you a great deal of money. ©2015 Test Drives. All Right Reserved.